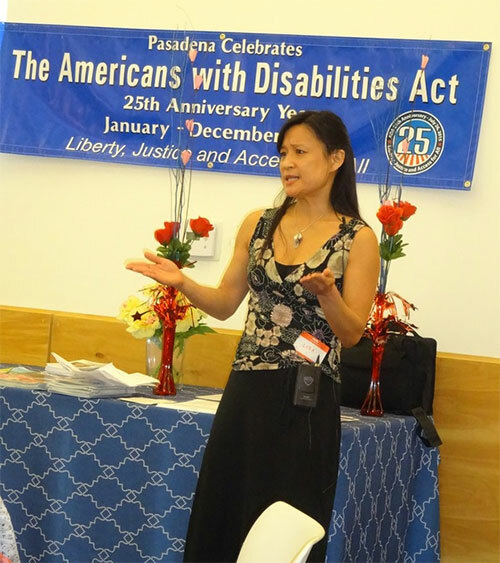 Chapter Success Stories – Lisa Yuan! 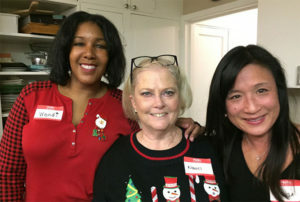 Our chapter has helped and encouraged so many members to understand, appreciate and learn to successfully move forward through the help and support of our chapter members. Through this, numerous success stories come forth including our own Lisa Yuan! Although Lisa recently moved to the other side of the U.S., she is endeared and loved by our chapter through her many years of dedication to the chapter. Lisa’s story of what the chapter has helped her overcome and succeed is a story well worth sharing. Let’s learn more about her story and the influence the chapter had on her life. At the heart of our group gatherings. What is your hearing loss? I have a bilateral, profound, sensorineural hearing loss that began in my early 20s. I now have one cochlear implant and one hearing aid. What was your state of mind regarding your hearing loss when you first joined the chapter? I joined the chapter in 2006, after spending about 16 years trying to “cure” my hearing loss (wasting lots of money on every alternative method out there!). Of course, nothing worked. When I found the chapter, I was helpless and depressed. My hearing loss had progressed to where I could no longer fake it, but I had no desire to deal with the reality of it. I felt isolated and incompetent; I hated that I could no longer do so many things that I used to take for granted. What were you looking from the chapter to initially help you? I was in such a dark place that I didn’t even know what I was looking for. I just knew I needed help because I had no idea how to function, or even try to be happy. I felt that if I couldn’t live a full life (which in my mind, meant as someone who could hear), then I could never be fully happy…so why even try? Lisa ultimately became our chapter President! What has the chapter meant to you? In a word, everything. Through the support, friendships, resources and tools I’ve gained from the chapter, I was able to go from a place of despair to a place of acceptance. It’s taken a few years, but the journey has been life changing. Accepting my hearing loss – and myself as someone with hearing loss – has allowed me to accomplish so much more than I ever imagined. It’s allowed me to embrace myself and embrace life. And acceptance would never have happened had I not joined the chapter. Why should someone join the chapter and HLAA? 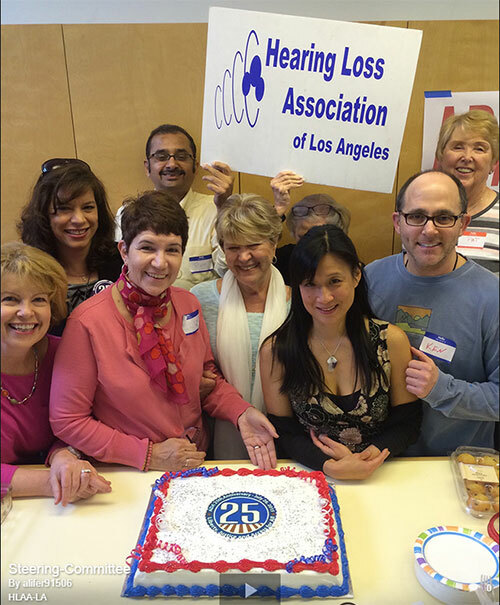 HLAA’s mission is to provide education, information, advocacy, and support. I’ve gained more information about hearing loss than I did from any audiologist and have learned how to advocate for myself. Most importantly, I’ve gained this incredible, caring, knowledgeable support group. Hearing loss feels so defeating and challenging sometimes – having people who understand what you’re going through is invaluable. Simply learning that I wasn’t alone – that there were others dealing with the same frustrations and fears – was what really started my path to healing. I met all these wonderful people with hearing loss, which allowed me to look at myself and realize I had the potential to be wonderful too. Any thoughts about how your outlook dealing with your hearing challenges has changed from first joining the chapter to now? When I look at my outlook then compared to now, I cannot believe how far I’ve come. I had so many strong beliefs back then: that I would never get a cochlear implant, because that would mean that I was really deaf; that I’d rather be dead than deaf; that I could never achieve my goals; that I could never be happy. Fast forward ten years… now I have a cochlear implant and have achieved things I couldn’t even imagine back then. Instead of living in constant self-pity, I’m now grateful every day of my life. In many ways, my hearing loss has empowered me. The desire to help people with hearing loss and other disabilities is one reason I went back to school in 2013 and got my M.S. degree in Assistive Technology and Human Services. After graduating, I learned about a program called the Presidential Management Fellows (PMF) program, open to anyone who obtained a graduate degree in the prior 2 years. The acceptance rate is about 6%, so I had no expectations, but miraculously, I became a finalist. This meant I was able to apply for PMF positions, most of which were in Washington D.C. I ended up getting a great job and moving across the country, something I never dreamt that I would be doing at this stage of my life. As much as I miss Los Angeles, I am grateful every day for this opportunity. If anything, I hope I can inspire others to not let your age or hearing loss stop you from going after your dreams, no matter how far-fetched they may seem.